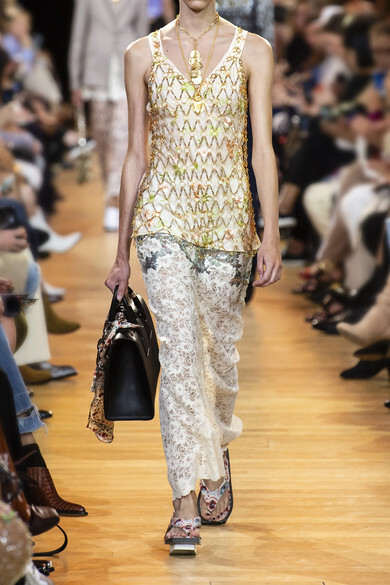 Julien Dossena channelled Paco Rabanne's seventies girl but with a bohemian twist for Spring '19 - this top was worn beneath one of the label's signature chainmail tanks on the runway. 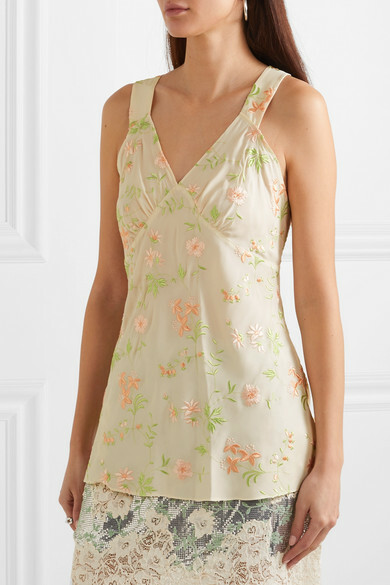 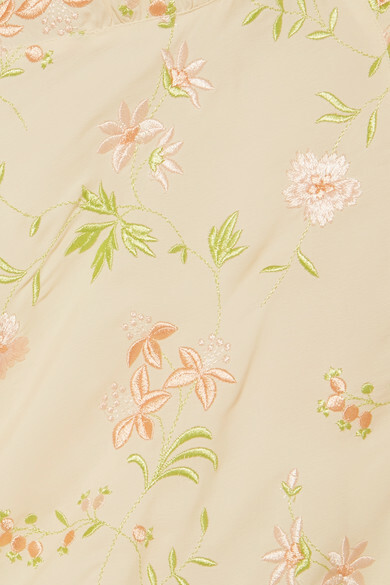 It's made from wispy crepe de chine and embroidered with dainty pastel-hued flowers. 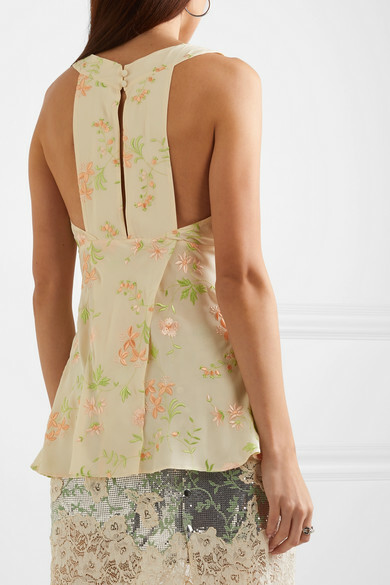 Team yours with straight-leg jeans and mules. 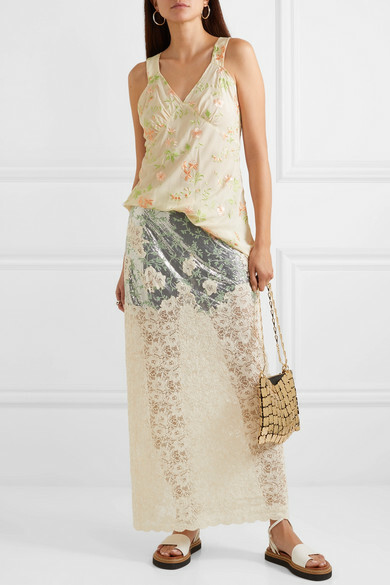 Shown here with: Paco Rabanne Skirt, Paco Rabanne Shoulder bag, 3.1 Phillip Lim Sandals, Jennifer Fisher Earrings, Jennifer Fisher Ring.